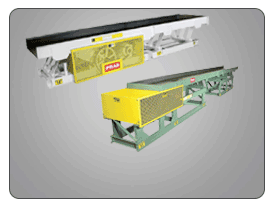 Metalworking’s most versatile belt conveyors for transporting a broad range of materials. 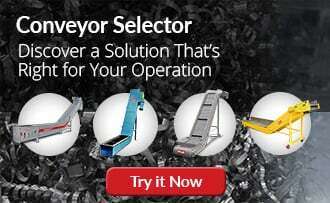 More versatile than other types of conveyors. 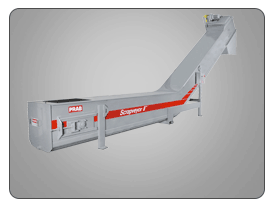 PRAB steel belt conveyors can be used to handle any type of wet or dry metal scrap- from bushy material and die scrap, to chips and turnings. 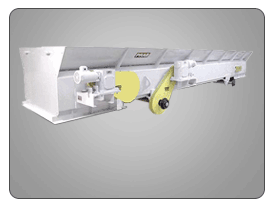 This heavy-duty scrap conveyor can process wet or dry metal material in any volume and is available in a wide variety of paths. 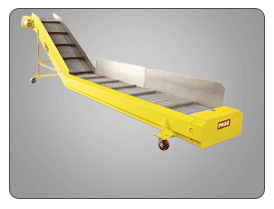 PRAB Steel Belt Conveyors are available in 2.5″ to 9″ pitch and are designed to convey a wide range of metal scrap ranging in weight and bulk density. It’s capable of combining horizontal and elevating movements. Heavy-duty side frames, track and wear bars keep the belt on track shift after shift.